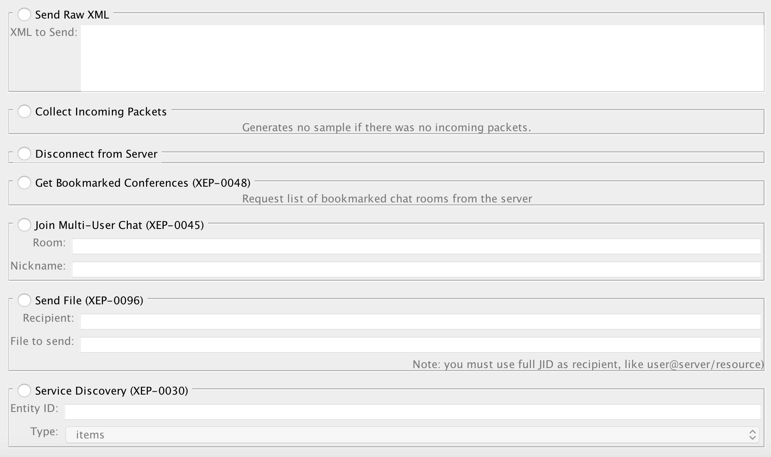 Learn to setup and perform load testing with the Extensible Messaging and Presence Protocol and JMeter for improved performance. 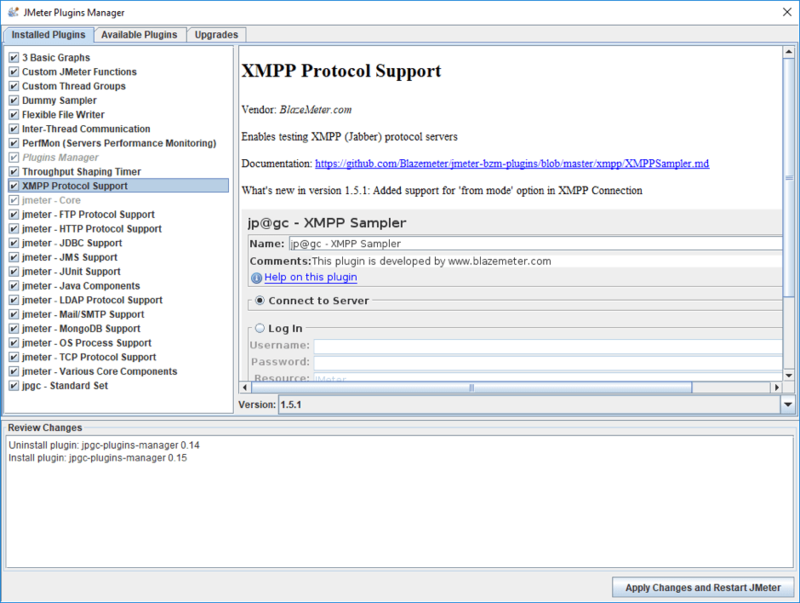 This is part one in the load testing XMPP series. 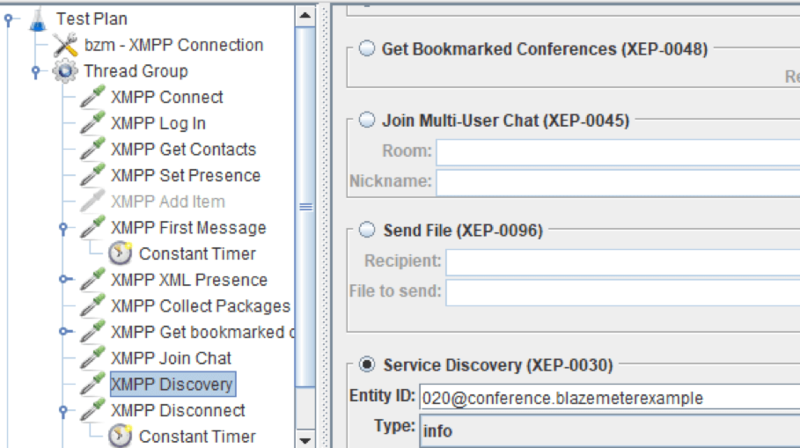 Part two will cover working with several users and extended communication. Value for 'from' attribute - needed to control the ‘from’ attribute of entity. Some stanzas can contain the ‘from’ attribute. This attribute indicates the author of the stanzas, and the server uses it to correctly process the stanzas. 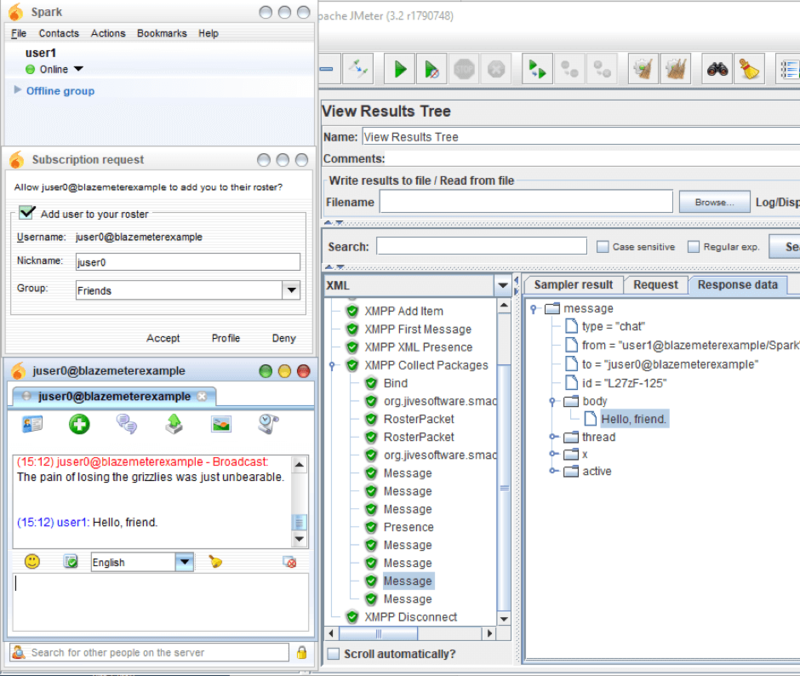 For example, if a user sends a message to someone, a recipient should know who the author of the message is. There are 3 options: USER - full address of the user login @ domain/resource is used for the attribute; OMITTED - omit the 'from' attribute from the user’s stanzas; UNCHANGED - leave the 'from' attribute unchanged. Read more about why we can omit this attribute and when to use the unchanged option here. JID is the contact's address. This needs to be filled only when adding/removing an item. Recipient - the address of the recipient. It needs to be filled if you send a request for subscription/unsubscription or if you want to set the status for a specific entity only. It can be either a conference or a user. Recipient - the address of the recipient. 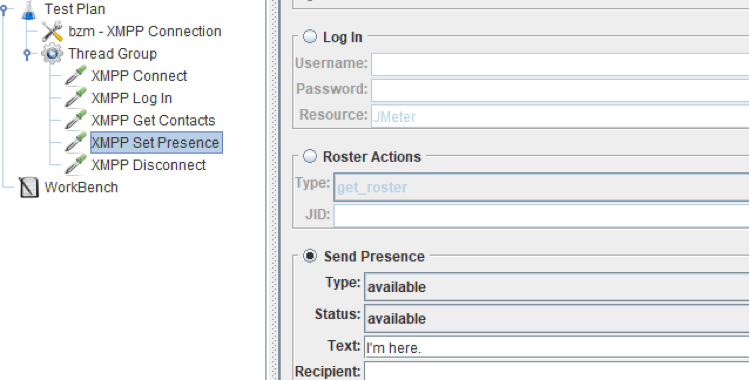 Let's specify the user as a recipient, who is authorized by the Jabber client. 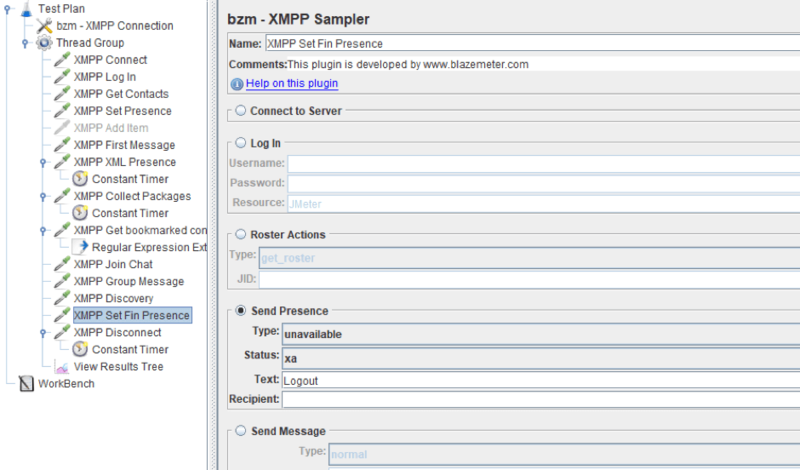 Add a Sampler, name it “XML Presence,” and select the Send Raw XML configurations. 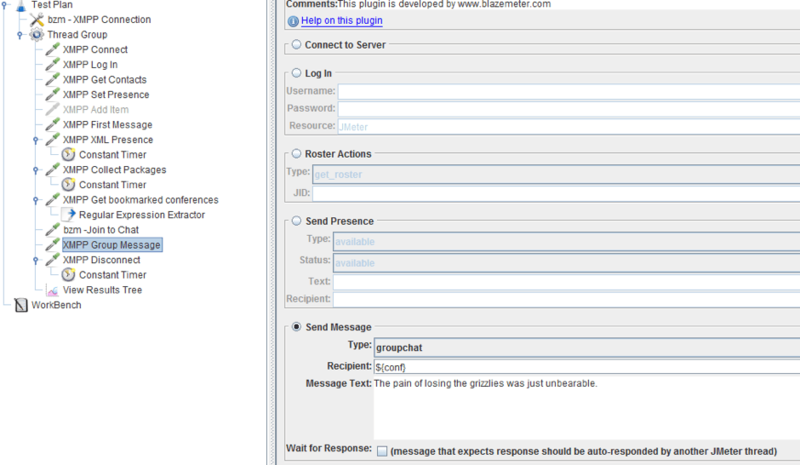 As you can see in the gif above and screenshot below, user1 receives a subscription message and a message. 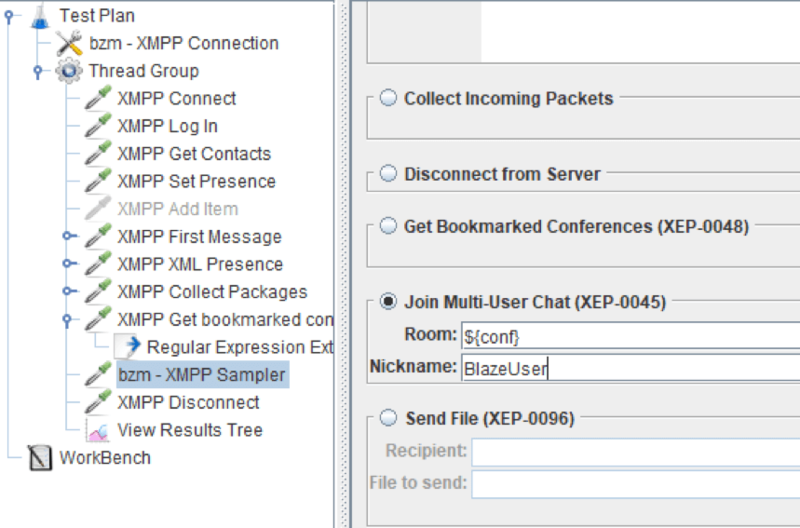 The Collect Packages Sampler collects all packets from the server, including the messages that arrive from another user. 15. Before restarting the script, let's look at an additional configuration - Send File. 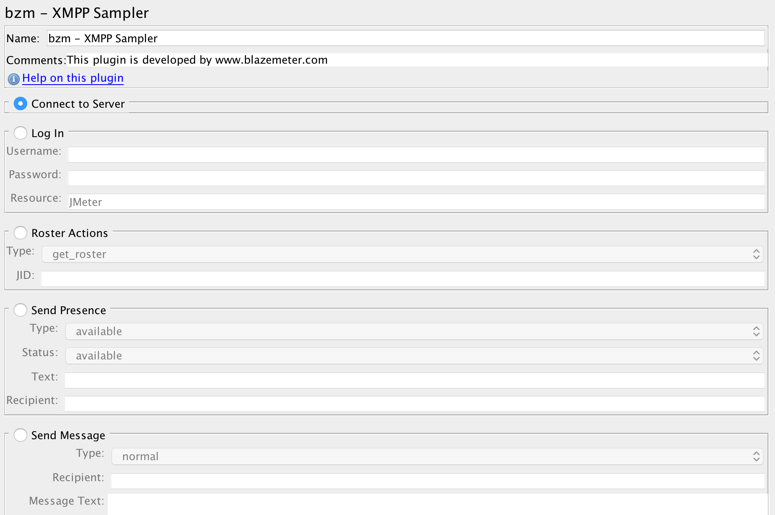 Create a sampler, name it and select this configuration. 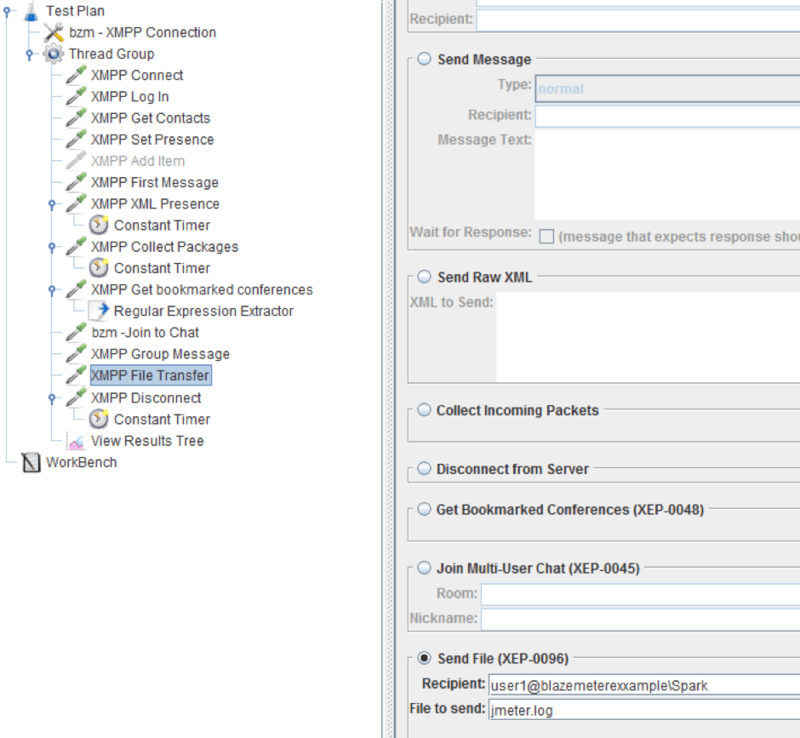 File to send - the path to the file, full or relative (relative to the jmx file).